Now and then I tease myself by trying to predict the future, and so in preparation for this years’ attempt I found myself reading the recent Forrester Prediction 2019: Business Insights report. 57% of global data and analytics decision makers are still at the early stages of their insights-driven business. Only 8% demonstrate advanced insights-driven competencies. Meaning, that despite the hype of recent years around machine learning and artificial intelligence, even the biggest companies struggle to extract value from their data at scale and drive impactful business results. For example, having smart personnel capable of driving a “data informed” culture (rather than blindly data driven) i.e. to achieve a greater level of analytics maturity. I am often surprised to find that even when an organisation has invested in an analytics team, at how small that team is compared to the scale of the task. Often key people are not dedicated to analysis, and with a modest budget (if any) for 3rd-party help expertise. I consider this the BIGGEST hurdle to what holds leadership back from investing in the above. 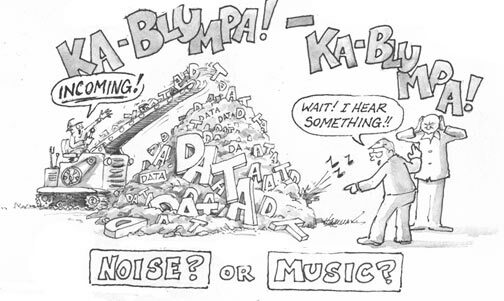 That is, the data accumulated simply “smells bad”. Would you invest in a bad smell…? When ranking a website by its overall Data Quality Index (a weighted score from 0-100 where 100 = the best possible data quality), the average is only 35.7. Moreover, only 12% of sites have a score above 50 – something I insist upon exceeding before analysing data. Incredibly, one in 5 websites have a PII issue i.e. personal data being collected in Google Analytics. Often this is by mistake – names and email addresses hoovered up in URLs and page titles by GA. However, in can also be deliberate captured as an event action/label, custom dimension, affiliation code or other variable. Half of all sites have issue with deploying the Google Analytics tracking code. That is, the basic code that tracks visits and pageview data. With holes in a GATC deployment, visit counts can be duplicated or lost completely, as well as producing unreliable attribution results. Segmentation is a key requirement to be able to perform any kind of in-depth analysis of data. Yet, visitor segmentation was by far the most poorly understood/implemented feature of Google Analytics with only 7% of websites getting segmentation right. By default GA has some great default segmentation tools. However, these are at the session level – they do not tell you about your users i.e. real people. Read my definition of what is tested with respect to visitor segmentation. And so on… See the post: Enterprise Study of Google Analytics Implementations for further details of the 15 key areas of data quality audited and summarised. When it comes to web analytics data, there is such a lack of trust in the underlying data, that management avoid the serious risk/investment required to make it happen. These reasons are why I think only 8% of enterprises in the Forrester report demonstrate advanced insights-driven competencies. I use the “bad smell” metaphor to summarise that senior management are uncomfortable with data quality when it comes from anonymous sources. That is, the vast majority of web analytics data is not from customers, but from anonymous prospects. Anecdotally, senior managers are aware that numbers just don’t add up, contradict other sources, or simply cannot be explained. However, it’s difficult for anyone in an organisation to put a finger on exactly what the issue is. There are literally so many wheels in motion at any one time with online visitors, that the data noise obscures the signal. With so much going on, so many data points, and the time pressures that the online world brings to a business, organisations need a easy way to stress test their data quality. The traditional method has been to manually audit your data and account setup looking for issues with tracking code, configuration and use of advanced features. I discuss a methodical way of doing this in detail in my last book (Chapter 4). However, the trouble with manual auditing is that it is time-consuming. For example, for an enterprise website I could spend 20-30 hours preparing an audit! And it’s not something that can be off-loaded to an intern/office junior. Auditing a GA setup is a forensic process requiring expertise and experience. Another issue with manual auditing is its fragility – even experts make mistakes, especially when you are looking for the proverbial needle in a haystack. 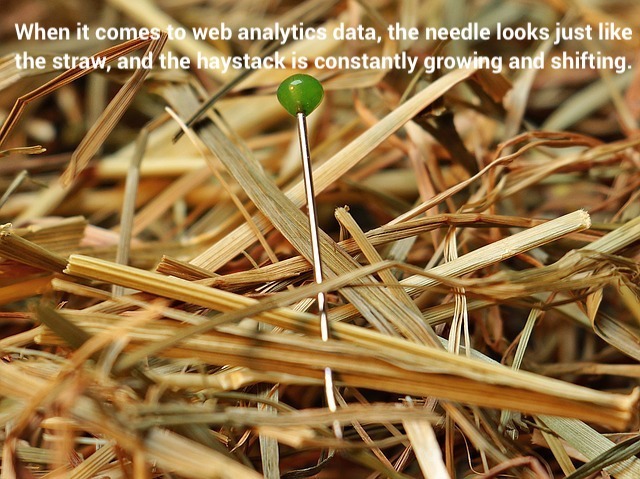 When it comes to web analytics data, the needle looks just like the hay, and the haystack is constantly growing and shifting. So what started off as a project to make my job easier has now become a fully featured enterprise cloud tool. Verified Data does all the heavy lifting of assessing and verifying your Google Analytics data. It uses hybrid technology to avoid human frailties – combining a website crawler to discover content that should be tracked, with forensic assessment (and some artificial intelligence) of the data collected. It also real-time monitors governance issues, such as GDPR compliance. The point of this post was to provide a background story on what I predict for web analytics in 2019… The past 12 months has been a turning point for data governance i.e. GDPR. The greater emphasis and responsibility now placed on gatherers of data will inevitably lead to organisations scrutinising their data quality. Hence I am expecting the following question to rise to board level for web analytics: “Can this data be verified?“. And if not, go and verify its quality. What is the future direction of analytics? Loved the insights you shared about data quality issues. The GA Audit Enterprise study is quite insightful as well.. Unfortunately, as you highlighted, most of the companies are yet to understand the importance of collecting the right data and hence do not focus much on hiring a good analyst. Anyways, loved your prediction and Enterprise study. Will share it on twitter and personal group for awareness.